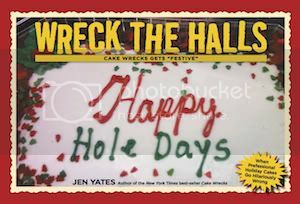 Cake Wrecks: Wreckies of the Month: The Cake-Free Edition! Most of the time our Wreckies of the Month submit pictures of cakes, but not today's readers! Nope, they got a *lot* more creative. See the tulip-shape with the curls inside? 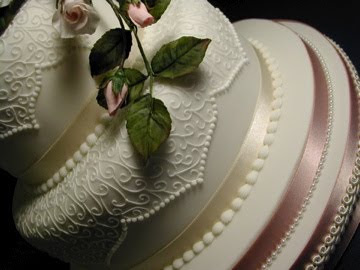 That's the design from the cake! Next, prepare for an assault of astounding adorable-tude!! It's a double cute attack! Now, the one on the left is a cake I featured in this post of Super Mario Sweets. The one on the right is a handmade plush by the über talented Emma R. of Felt Original Toys. She spent six months making it, y'all. SIX MONTHS. And all because I asked someone to make me a plush of that cake. Not that I get it, of course - Emma's not *that* crazy - but the pictures are more than enough to make me grin like a loon. 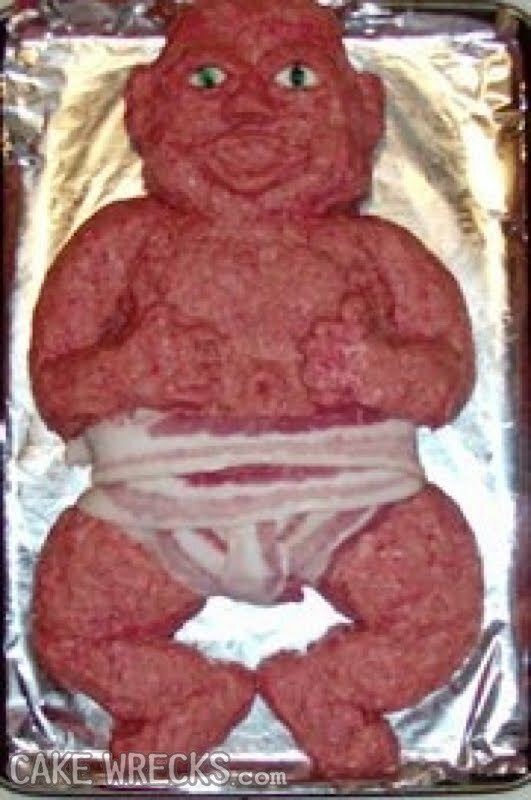 Soo...remember that horrific meatloaf baby cake thing I posted way back when? Yes? Seared into your memory for all time? Haha! Yeah, I thought so. Well, a lot of you sick, sick people had one thought and one thought only: What did it look like after it was cooked? And, "lucky" for you, loyal minion Jessica K. is here to help. The baby is horrifying though. Both shots. Equally horrifying. I love how the meatloaf baby turned into a boy after he was fully cooked. Awww, shoot! I was gonna try to make a plush out of that Mario cake. Not the whole cake, though. Just the bomb. The burned baby makes the original one look kinda cute! Yes, question (other than request for condiments): Does bacon make good diapers? Blurrgh! The belly is still raw! THANK YOU for not showing the creepy, staring baby after dousing with ketchup. This was bad enough. The eye on the left, meat-baby's right eye, will never be completely erased from my mind. Eyes that slide slowly off faces- I have a new fear. And those tiny burnt hands. And thanks for pointing out that there's something pointing out of the bacon diaper, Sue. I can't stop noticing. (That's the strangest sentence I have ever written. Pretty tattoo though, and the cake plush is SO cute! Wow! Awesome tat, and that felt! The baby -- just --- gross. Very very gross. You reeled us in with beauty and cuteness only to horrify us with meatloaf baby!!! Shocked! I'm shocked to find out that you actually showed a cooked meatloaf baby! aside = "Here's your fork and ketchup, ma'am"
Cooked meatloaf baby= Best wreck ever! The Mario plush is just too cute. Can't say the same for the meatloaf baby though... I hope it tasted good, at least. I love the tattoo! What a wonderful and beautiful idea. So very pretty. Also the plushie is really cool. That's talent. WV-Enshr: When Usher gets old. Oh Jen and John, how do I love thee? Let me count the ways... q) Man, did I miss a dust up when I didn't read CW for a week. Mea culpa! 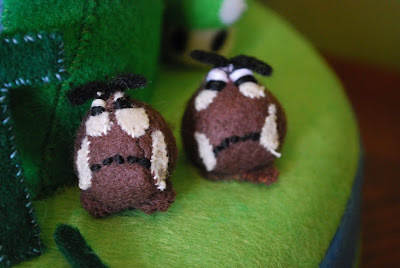 3.1415) When you do well made, cute cakes it's funny. When you comment on poorly made cakes, I don't need to do any more ab exercises for the day, %) Even if ya are Trekkies, you still make me laugh. Love, Me. The tattoo pictures made my gorge rise a little, but that's probably just me. I'm wondering what property of meat caused the baked baby's mouth to shift over to the side like that. WV: speale. I never cared much for meatloaf anyway, but this one made me speale. 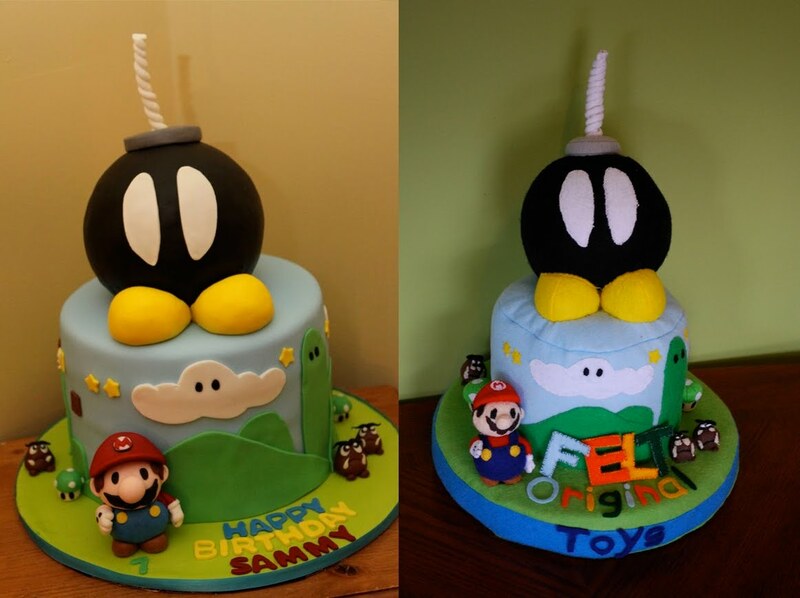 Well, if it's a copy of a professionally-made cake, not to mention characters from a well-known game, it's not quite 'original' now, is it? If she tries to sell it, is it violating copyright laws? That meatloaf baby has CSI episode written all over it. urron crack if you think that baby looks appetizing. Cooked babycake - Pet Semetary nightmare flashbacks...thanks. Oh my, oh my. THAT is hil-LAR-ious. Went to the blog of the toy maker and SHE IS 16 YEARS OLD. That means that 6 months is a much higher proportion of her life than the rest of us old folks. Holy moley. How loud did you squee when you saw that thing? Because it's all kinds of awesome! I am one sick puppy...because that baby meatloaf looks really good. All that' missing is some mashed potatos, applesauce and ketchup. I'm not sure if I can stop laughing long enough to eat it though. *p.s. Is it wrong that I want to see what it looks like cut up? Gwahahahahahhaha meatloaf baby strikes again!!!!! Thanks for the laugh! I needed it today!! In all honesty, I would wear a bacon diaper. Just sayin'. 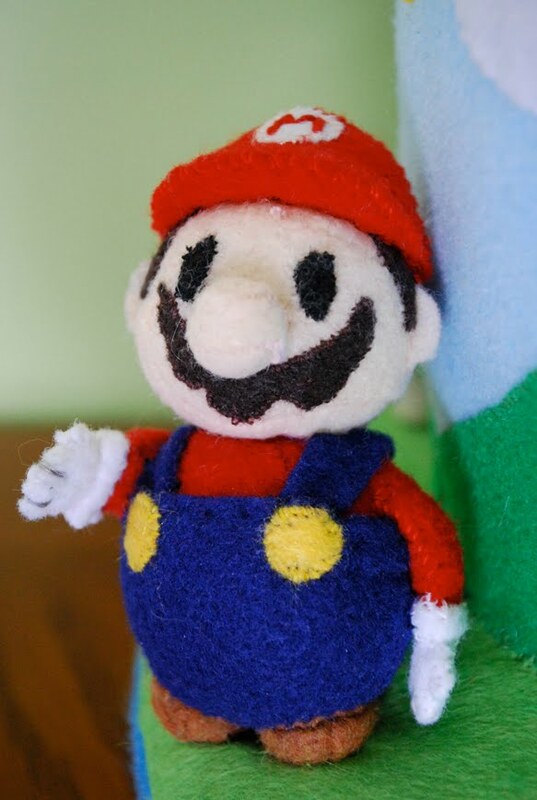 The Mario plush is magnificent. I would go so far as to call it scrumtrulescent. ok, the baby looks gross but that bacon diaper is cooked to perfection! Ya gotta REALLY love bacon to say "I'd eat that diaper"; I do, and I would. @Gween "*p.s. Is it wrong that I want to see what it looks like cut up?" Yes. But it's worse when you contemplate how to make it look like guts on the inside. I am a horrible, horrible, horrible person, I know. At least I didn't do it. Just thought about it. Ewww... it's little shrunken hands! wv- triliz: It used to be exciting, but now the triliz gone. My, what a swell baby. wv: The frenzy of chopping and grinding and forming and baking, eased by the postprandial sense of meaty-oniony-ketchupy wellbeing that could come only from perfectly cooked meatloaf, gave him a prozac-like -- nay, valium-like -- mednesse that he'd long missed after his treatment had ended. That cooked meatloaf baby is disturbing! It makes me shudder. You can still see the eyes! My only question is the same question I had for the original posting of meatloaf baby cake... WHY???? If I weren't already a vegetarian, this would do it. Ewwwwwwwww! Babies are awesome; meatloaf and bacon are awesome (especially together). We're talking two DIFFERENT kinds of 'awesome', m'kay? "Where's the ketchup?" More like, "Where's the memory eraser." After looking at the cooked meat paste baby and pondering sticking a fork in it, I went into EVIESMS! Sure, I have a question about the baby. Though if there's only forks, then I'm 0k with that as well. I think Reverend Ref+ is onto something with that CSI episode. Let's help them out with the plot. Firefighters respond to a house fire and are saddened to find a dead baby. But where were the parents and how did the baby get into the oven? The homeowner knows it was irresponsible to leave the home with oven on to run errands but can't figure out why he's being charged with murder. Of course, the autopsy reveals that the kid was made of meatloaf all along. Make a meatloaf of Meat Loaf! He's kind of a big guy, so maybe just his head. That would be the most awesomely disturbing thing ever! I'm kinda hungry for meatloaf now! is that a regular ink tattoo -done in red shades? 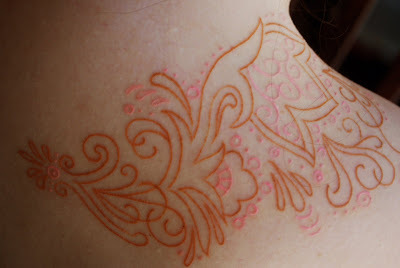 or is it a scarification/branding "tatt" that will heal on her skin in shades of pink/white-ish (based on her skin-tone) and/or raised keloid type tissue? cooked? it's enough to make me very, very glad I decided not to make meatloaf this weekend- I would have had to throw it away! I just have to say that I love, love, love that my baby shower cake continues to show up at the bottom of the wreckies of the month screen after a year! I guess when you screw up a Spock cake it gets to be famous for all time! My Kylie will be celebrating her first birthday next month and I have to confess I was tempted to go with the same bakery so I could have another famous cake for her! O..M..G..! that meatloaf baby looks like a burn victim... and I would know, I used to be a nurse on the burn unit. Now if that woman could make a plush baked baby meatloaf out of felt we would really have something memorable, although I may never forget that last horrific image. Ick. 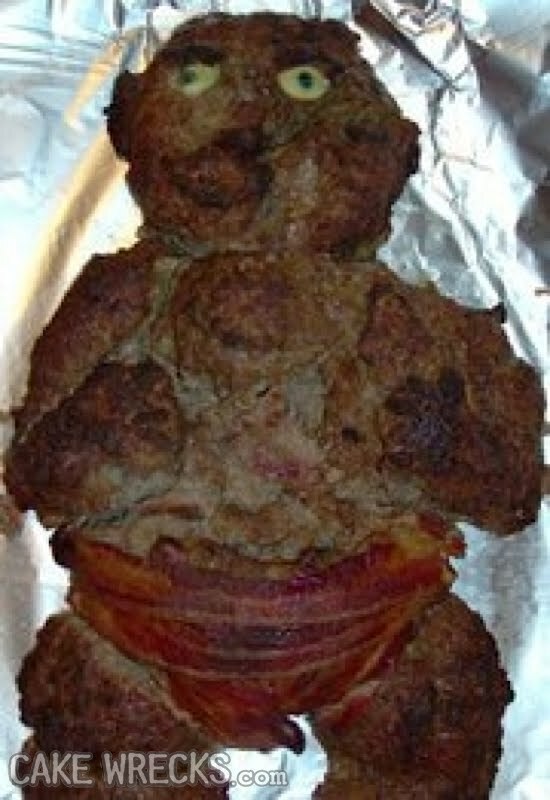 I looked at the meatloaf baby and the first thing I thought of was, in Futurama announcer style, "You saw it . . . you can't UNsee it!" The meatloaf baby seriously looks like a burn victim! OMG! That was disturbing. I like meatloaf, but could not would not eat that one! Emma you rock! I knew you were talented and smart, but that Mario cake is amazing! That's probably...no, that is HANDS DOWN the MOST unappetizing piece of...food?...I have EVER seen. @luna1580 it's a real ink tattoo. 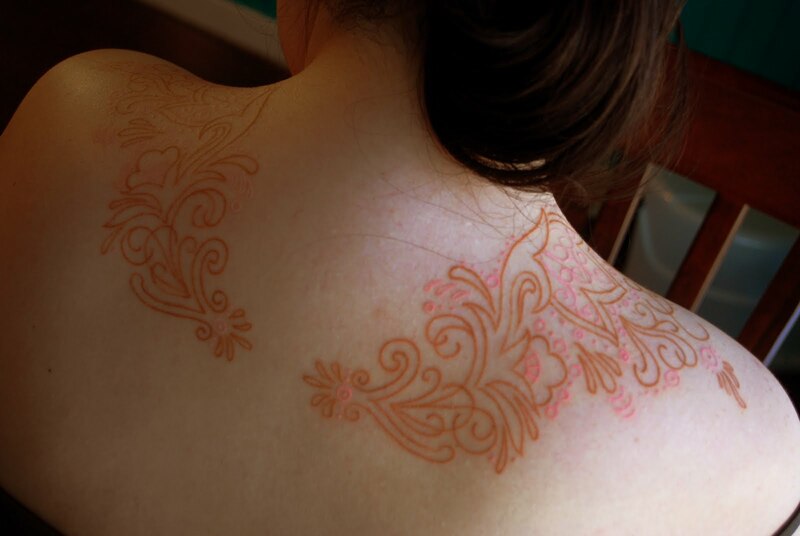 the artist used tan and pink ink. it was about 3 days old in the picture, which is why it still looks raised. That is THE most beautiful tattoo I have EVER seen! For the first time in my life I am actually tempted to get one! the tattoo is awesome, the plushie is absolutely adorable.